Is this Europe’s most adorable town? 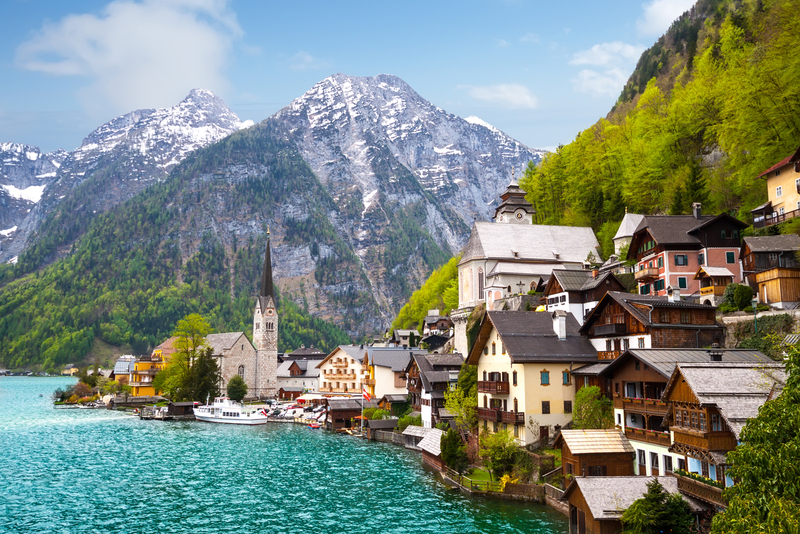 Welcome to the postcard-perfect township of Hallstatt in Austria. The fairytale town of Hallstatt, nestled quietly in the Austrian Alps about one hour south of Salzburg, really is this gorgeous! A day spent wandering around the World Heritage-listed town and market square, indulging in the astounding beauty of the architecture and the cute cafés dotted along the cobbledstoned lanes will leave you slack-jawed. Stay a little longer and you can head into the hills with hiking stick in hand to get a bird’s-eye view from the Five Fingers viewing platform, or visit the world’s oldest salt mine, believed to be over 7000 years old. In winter, the rooftops of the centuries-old baroque buildings are blanketed in snow transforming Hallstatt into a white wonderland, with world-class ski fields only a short trip away. In fact, Hallstatt is so pretty it’s the type of town where a pumpkin carriage plodding along the streets at midnight wouldn’t look out of place. But, unlike Cinderella and her posse, we’re pleased to confirm that Hallstatt is a very real, very accessible place – and what a wonderful place it is. Most stunning town in the world!